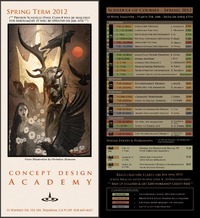 I'll be demoing/instructing at Concept Design Academy in February. Looking forward to it! I'm going to be a mentor for Motivarti.